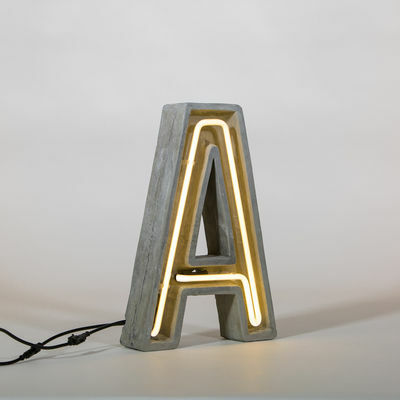 Characteristics : "Indoor and outdoor use - CE marked - 230 Volt - 50 HZ / IP 44 Class I - Only Works with the transformer sold separately - Included : hook for wall fixing - The neon can be replaced by the ""Alphafont"" letters"
A brand new alphabet from Seletti, neon letters in a concrete casing which makes it also suitable for outdoor use. 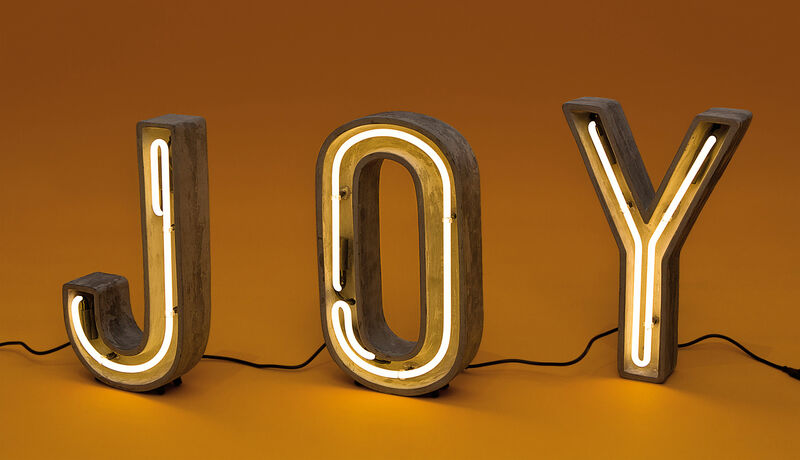 Can be hung or stand supported. The neon letter works with the transformer sold separately.